Did I just see a frontside ollie? Maybe a kickflip?! 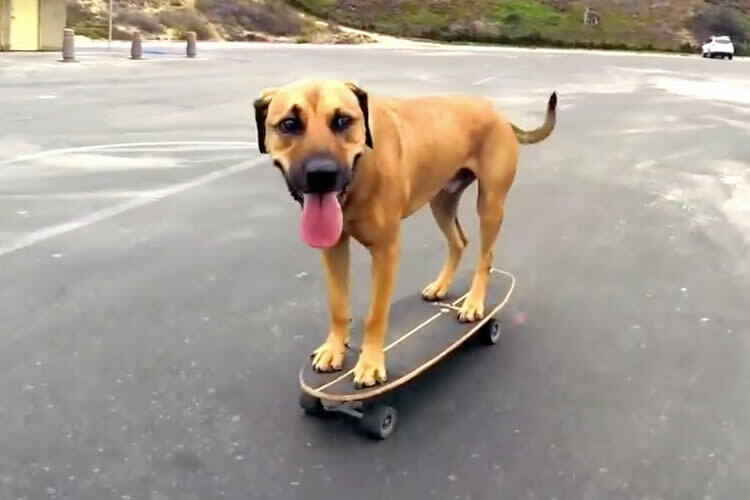 Bamboo is seriously one talented pup – this calm fella kicks his paws to get his skateboard moving and then cruises around on his board like a natural.